So far Office Chamber has created 27 blog entries. A company receives an average of 250 resumes for each job opening it posts, according to Glassdoor. If you’re one of the lucky 2 percent that land an interview, you’ll have to convince the hiring managers that you’re the best candidate for the job. Impressing prospective employers requires more than a firm handshake and a professional appearance. If you want an interview to end in a job offer, you need to go in prepared. These are the tips every candidate should follow when preparing for a job interview. We all know that no matter the industry, your employees are your company’s most valuable resource. Since we know this, we realize that high employee turnover is a really bad thing. Yes, some level of employee turnover is unavoidable. There are instances where employees are not the right fit, change careers, or retire. But even in those instances, attrition is costing you. While all companies know employee turnover problem, most do not truly realize what it is costing them. Do you? The fact is, any level of employee turnover comes with a price. Unless you have already invested the time and energy into calculating the cost of your employee turnover, chances are you are underestimating the figure you are putting on it. Teachers from all six Leander ISD high schools participated in COOL Week for Teachers, embarking on professional externships to broaden their knowledge of modern industries and how it pertains to their classrooms. Through a grant from the Texas Rural Capital Area Workforce Development Board and in partnership with the Leander Chamber of Commerce, teachers spent several days learning about a local business, including their processes, workflows, hiring practices and more. Congratulations to our President & CEO, Bridget L. Brandt. She was recently honored with being selected to receive The Tom Trotter Scholarship from The Texas Association of Convention and Visitor Bureaus (TACVB). Because of his influence on the marketing of Texas and the Texas and travel industry, TACVB established a scholarship in the name of Tom Trotter to honor and support outstanding industry leaders. The scholarship has now been in place for 27 years. Brandt is the 28th receipt of the award. 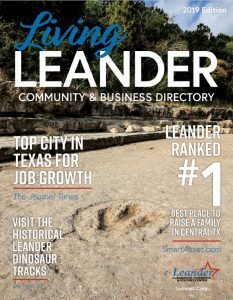 We are delighted to see Leander on the list! For many professionals, finding success takes years of hard work and dedication; there’s no one right way to be successful, no matter what your business is. However, there are a few habits that you can foster in order to improve your skills, thereby boosting your ability to maintain a business that will continue to garner success. Many of these are personal habits, such as waking up early enough in the day to get a lot done, that will help you stay focused and organized. It’s also a good idea to keep your mental health on track by getting enough sleep and looking for inspiration in order to stay passionate. The trend toward Corporate Social Responsibility (CSR) over the past decade has had a tremendous positive impact on businesses and various charitable causes. There is little doubt that companies grow and communities improve when there is a conscious effort to do more than just make a profit and provide dividends for shareholders. In fact, as the CSR movement matures, we see increasing evidence of the linkage between financial success and being engaged in philanthropic and charitable endeavors within our communities. Our online job bank is a free service offered for members that is a great opportunity and easy to use feature if you are looking to fill a position. 1. 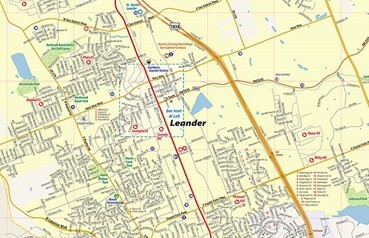 Go to the www.leandercc.org homepage and log in to your ‘Members Only’ account. If you do not know your username and password, give us a call at 512-259-1907. 2. After logging in, you will see your member portal. From there, click the ‘Features’ drop down menu and then click ‘View/Add Jobs’.